1997: Bought my first personal computer. Two months later I install RedHat 5.2. It was the first (and last) time I bought a Linux distribution from a store. Home broadband was not there yet. It came along with a nice book guide, which I still have on my library along with the 5 CDs. 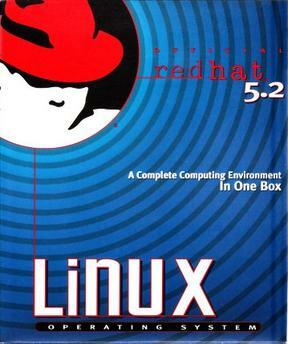 2002: Just before RedHat Linux was about to be discontinued, in favor of the Enterprise version and the beginning of the Fedora project, I saw this as an opportunity to try some other distro. After playing around with LFS I ended up with Slackeware 8.1. Kept it for several years, learned a lot. 2007: Slackare has a very limited package collection, so you inevitable end up installing things manually. So I wanted a way to do this in a more automated way. And the choice was Gentoo Linux. Actually I documented that. 2010: Over the years there was a significant change on how I dealt with my everyday work. I came to a point where I started to evaluate more the UX aspect of things. I wanted a linux distribution that would just work, but would also be open as a project for contribution. So I chose to join the Fedora Project and never looked back. Today, besides being an Ambassador for the project i maintain some packages and enjoying being part of such a great community.